Imprime la page ci-dessous. 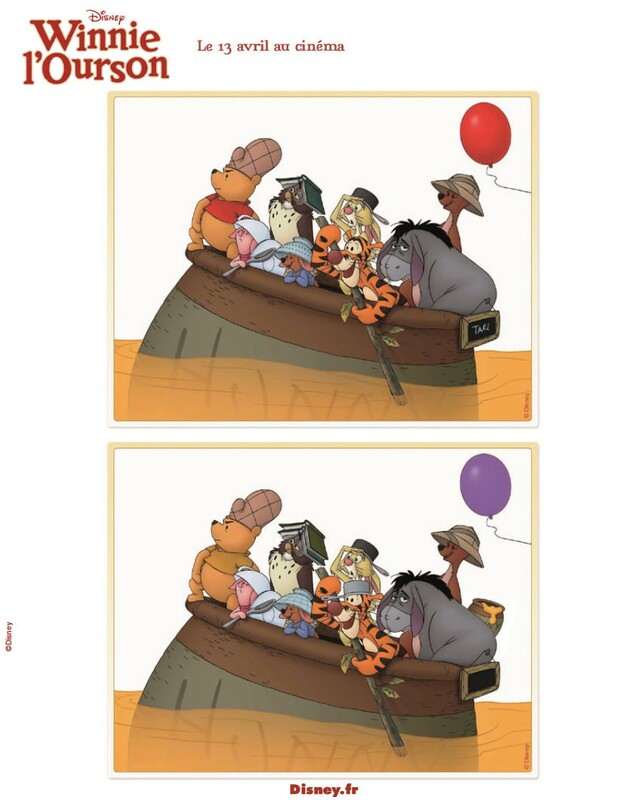 Tu dois trouver les sept différences qui se sont glisser entre ces 2 images de Winnie l'ourson et de ses amis. Entoure les avec un crayon. This Winnie the Pooh and Friends Find the Difference game may be a bit of a challenge to spot all the differences in this [Disney] scene. If you like this game you will find a lovely selection of Find the Difference games from Hellokids.